We are FRC Team 2073, EagleForce, a robotics team established in 2007 at Pleasant Grove High School in Elk Grove, CA. We recently qualified to compete at the 2019 FIRST World Championships in Houston, Texas from April 17-20. To help the team offset travel expenses (airfare, lodging and food) for our team of 25 students and mentors, we are reaching out to our community for help. 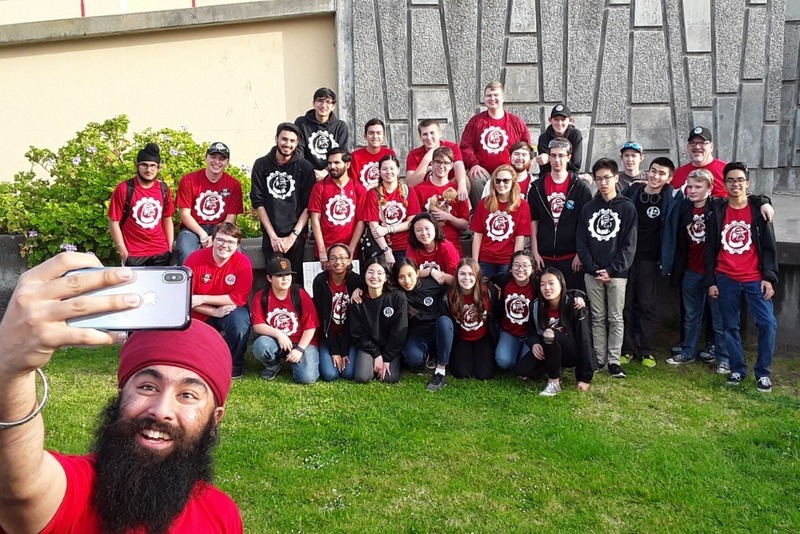 We qualified for the World Championships by not only becoming Finalists at the 2019 Monterey Bay Regional from March 22-24, but also earning the coveted Regional Engineering Inspiration Award there as well. This award “celebrates outstanding success in advancing respect and appreciation for engineering within a team’s school and community” - FIRSTinspires.org . We were recognized for our team’s outreach efforts and commitment to increasing the accessibility of STEM education to youth in our local area. Our team consists of high school students who learn to use industrial-grade machinery (lathes, mills, CNC mills, etc.) and CADD programs (Inventor, Fusion, SolidWorks), electrical wiring, and various programming languages through the process of building robots. Our students then refine their acquired skill sets at regional competitions such as the 2019 Monterey Bay and Aerospace Valley Regionals. These hands-on learning experiences prepare our students for their future, post-secondary careers academically and professionally. The World Championships brings together regional winners from all over the world to compete, learn, and inspire each other, giving students unforgettable experiences as they compete alongside and against the best teams from around the world. Despite the language barrier, we compete and collaborate with other teams in randomly assigned alliances in our matches. By enabling our team to go to the World Championships, you are also enabling our students to apply their skills in a competitive, educational field surrounded by other bright minds from around the world, giving them the opportunity to put their skills to the test. By supporting our team, you will not only help to further STEM education, but also help to empower the future leaders of our science and engineering fields. Thank you very much for supporting our team! Every donation you make will bring us a step further with promoting STEM education among youth. All funds raised will be transferred to a team bank account from which we will use the funds to reduce the financial burden for our team members.